Male Black Woodpecker hard at work. A few minutes poking in the nest cavity and half a minute taking out the construction garbage. It doesn’t have hands, so the mouth and beak have to do all the work. 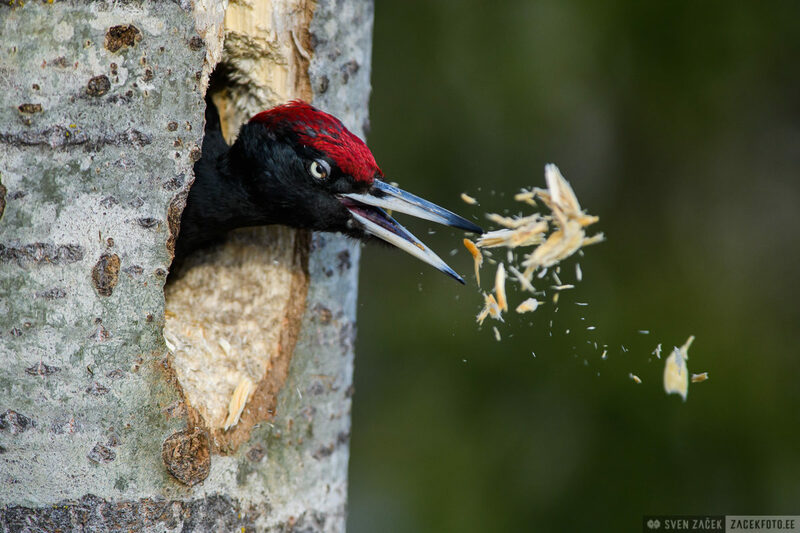 This is how a Black Woodpecker spits out the loose chips.